A week ago, I wanted to change my Computer Name and Full Computer Name on my Windows 10 computer. If you have not upgraded Win 8 version to 10, follow this tutorial to upgrade. In the previous version of Windows, the steps might be different and a bit more complicated, but on Win 10, you can change it easily and it is done, in not even 2 minutes. Before we go to the steps, there are a few things for you to know, so you can decide to change it or not. In the video demo, I use a local account on my PC. What does this mean? 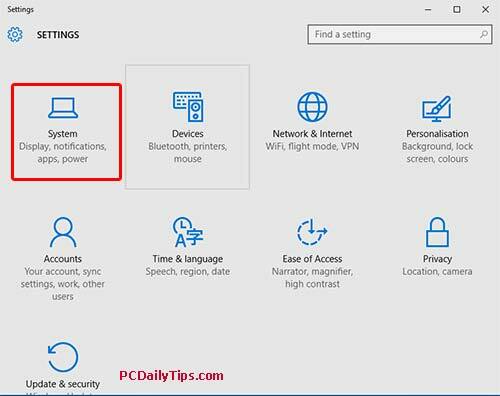 If you are now using your computer with a Microsoft online linked profile account and synced feature enabled, you will likely have another new created account online on your Microsoft online account. Then, if you have enabled “File History” to back up, this new created account will create a separated new “File History”. Which means, if one day you need to use your File History to restore your PC, you will need to be aware that if you restore the file with the old username, the old username will be also stored, so you will need to change it again. I think, this won’t be a big problem, rather annoying I would say. In my previous video tutorial also shown how to find your computer setting, watch it here. 4. Click “About” very last one on the list. 5. 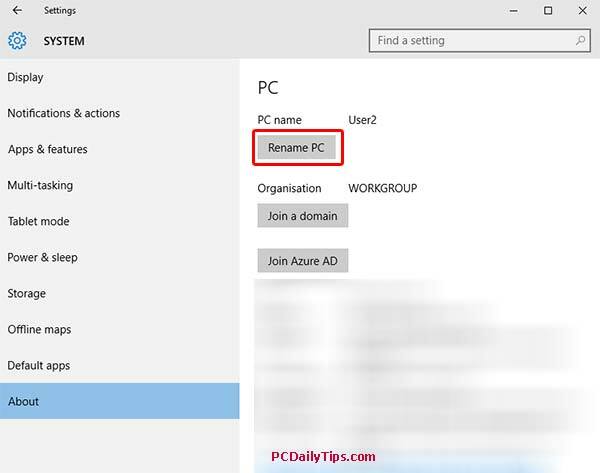 Click “Rename PC” button. Type any letters, but without SPACE. So you can use a combination of letters, hyphens, and numbers, just as it says, and also maximal characters are 15 characters. Furthermore information, you can read this official direction from Microsoft website. You have it. Now, after you restart your computer, when you check again, you will see your computer name is changed. To check it, right click the “Win 10 icon” and select on “System”, you will see your data there.